Holidays can be a veritable minefield when it comes to eating healthy. The sugar, the wheat, and the heavily processed foods to make all of the special treats flow with abundance. I’m alright with splurging a little bit during the holidays—well, for me one splurge can turn into a full on pig-fest. I kid you not. While I don’t splurge on gluten-filled goodies (I don’t I want to be that miserable), the sugar gets me. And the sugar makes me miserable. I don’t get enough protein. And my blood-sugar crashes. And then I crave more sugar. It’s a treacherous cycle, my friends. This year, several of my blogging friends have determined to band together to provide you with a collection of delicious gluten-free thanksgiving recipes that also have dairy-free options. 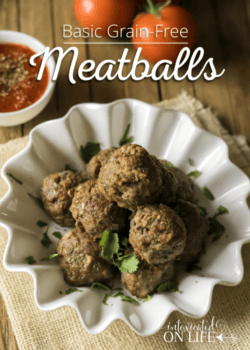 Be sure to read to the bottom of the post to see links to these delicious recipes! 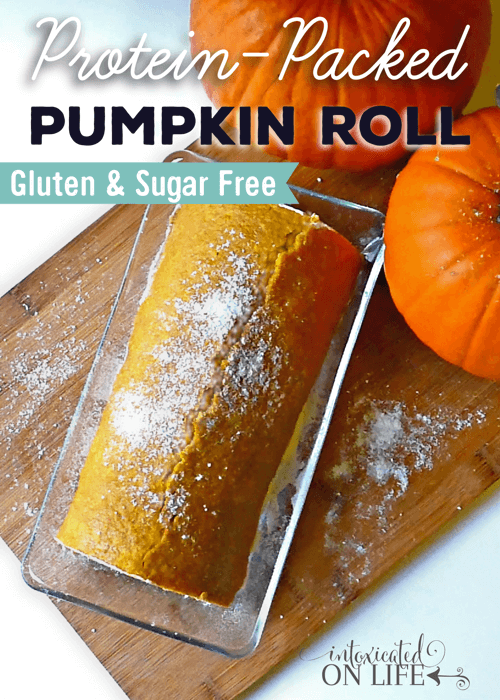 How do you make a “Protein-Packed” pumpkin roll? Good question. 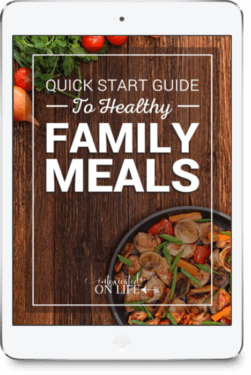 Of course, there are ingredients you’ll likely recognize as being rich in protein like eggs and almond flour, but beyond that this recipe also features Perfect Hydrolyzed Collagen. 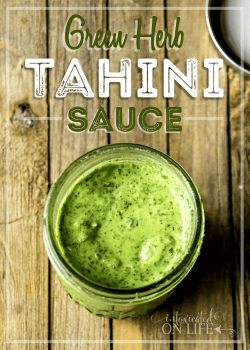 The collagen is really what kicks this recipe up a notch! Collagen is a pretty unique superfood. Collagen is the important protein found in animal bones. When you cook those bones up, you get bone broth that is filled with nourishing, cooked collagen—also known as gelatin. Collagen is more bio-available than gelatin. It’s easier to digest and easier for your body to use. Unlike gelatin, collagen doesn’t gel. You can’t make homemade jello, but you can use it in a whole lot of recipes! Collagen will disolve in both hot and cold liquids. True gelatin will only dissolve in hot liquids. Hydrolyzed collagen can be dissolved in tea, smoothies, water, soup…pretty much anything! And it will give you a nice protein boost. Like gelatin, collagen has oodles of health benefits. Why Perfect Brand Hydrolyzed Collagen? The quality of Perfect Brand supplements and products is out of this world! I use some of these products myself and can’t recommend them highly enough. 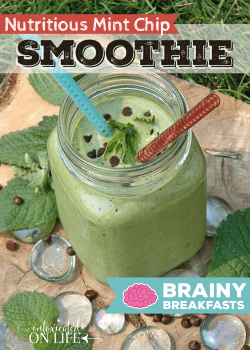 I’ve been adding collagen to a smoothie or beverage every day. 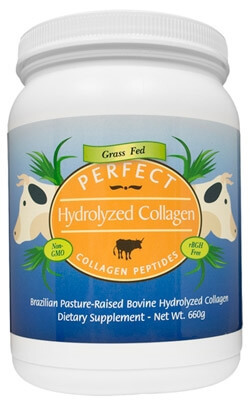 Perfect Brand Hydrolyzed collagen is sourced from 100% grass-fed, Brazillian cows. It’s completely pesticide-free, hormone-free, and free of GMOs. This collagen has been lab tested to 97% protein. It has NO added ingredients. In case you can’t tell, I enjoy this hydrolyzed collagen. It fits seamlessly into my diet. This is important, because despite the benefits of bone broth, I really don’t like it. 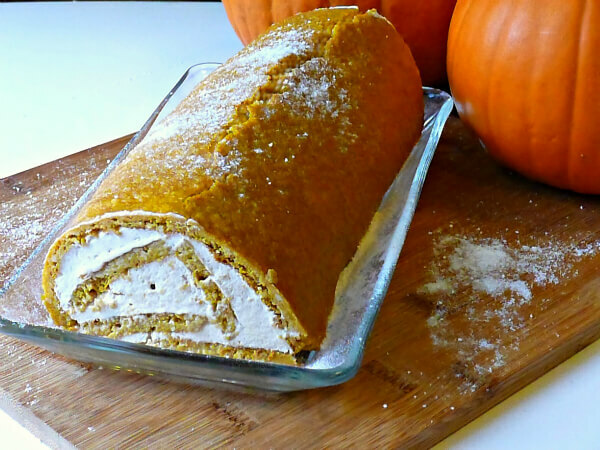 This pumpkin roll is one more way I’ve been able to fit some extra protein in my diet (and my kids). It’s sugar-free, and packed with protein so you won’t be hungry and craving sugar an hour later. Preheat oven to 375. Line an 11x17 pan with parchment paper and then grease well. Beat pumpkin, xylitol, stevia, eggs, and vanilla until smooth. Combine the remaining dry ingredients until mixed well together. Pour batter into lined 11x17 pan and smooth the top so it's evenly distributed. Bake for 14-16 minutes - until the center is set. While you let the cake cool, make the filling. You want the cake to be just slightly warm to the touch, but not at all hot. If it's too warm it will melt your filling, but if it's completely cool the cake will crack (it will still be good, it just won't be pretty). Beat cream, maple flavoring, and xylitol until soft peaks form. Add the collagen and continue to beat until stiff peaks form. Once the cake has cooled to a luke-warm temperature cover it with a piece of parchment paper and place a large cutting board or another 11x17 pan over top of the cake. Carefully turn the cake over and peel the piece of parchment paper that is now on the top, off of the cake. Spread the filling evenly on the cake. 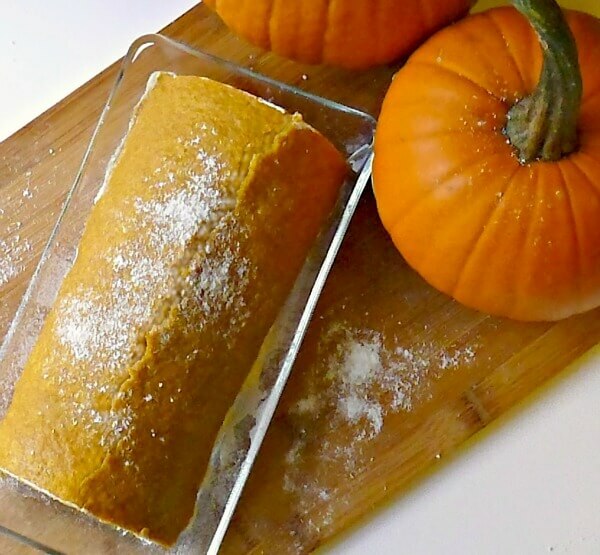 Using the bottom piece of parchment paper, very carefully roll the pumpkin cake from the short side. Cover the cake and place in the freezer for at least 2 hours or until firm. Remove the cake from the freezer a few minutes prior to serving. You can dust it with powdered sugar or sugar substitute or top with toasted walnuts. Slice and serve! Being careful not to mix the solid coconut cream and liquid portion, carefully scrape the solid cream out of the can. Place your hardened cream into a mixing bowl. Add the remaining ingredients and beat until smooth and creamy. Refrigerate immediately until you're ready to use. *If you're following the THM diet this is an 'S' meal. You can use the THM Gentle Sweet instead of the xylitol. Thank you to Perfect Brand for underwriting this post! Looks amazing! Can it be made without the collagen? We don’t have much access to it where we live. Plus I get my protein other ways.